For Parasole Restaurant Holding’s fast casual spinoff of their Good Earth restaurants, we created a brand identity from the ground up – including naming this natural foods concept, creating its visual identity, designing a website, and developed a range of communication materials. 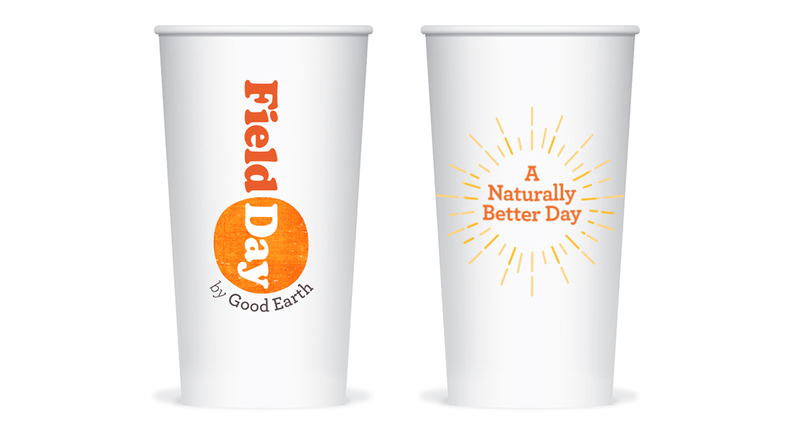 We designed the Field Day logo to leverage its status as a spinoff of the well-loved Good Earth brand. 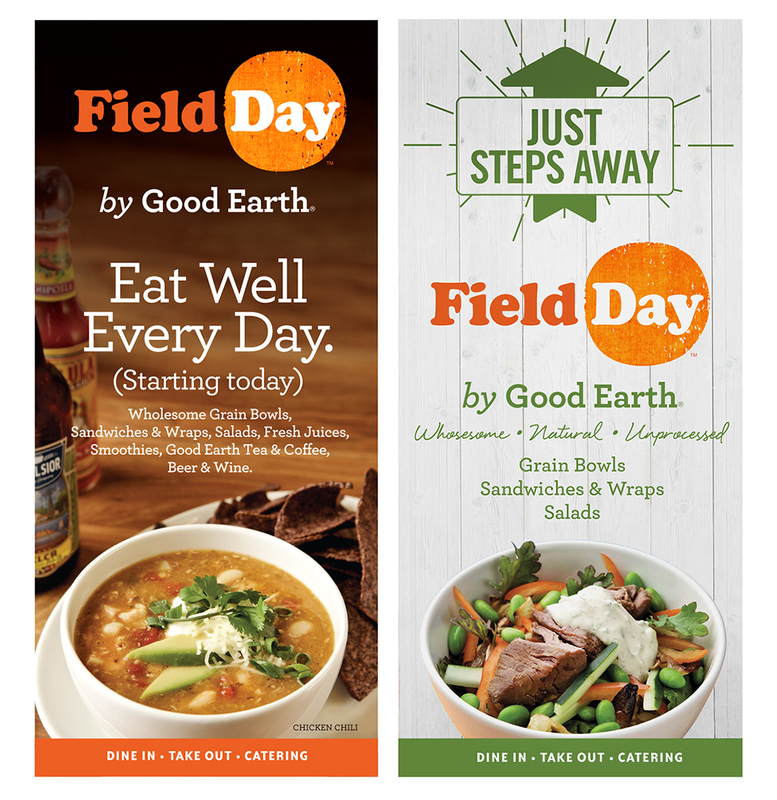 As Field Day achieves brand recognition in its own right, the mark can be easily transitioned to stand alone. 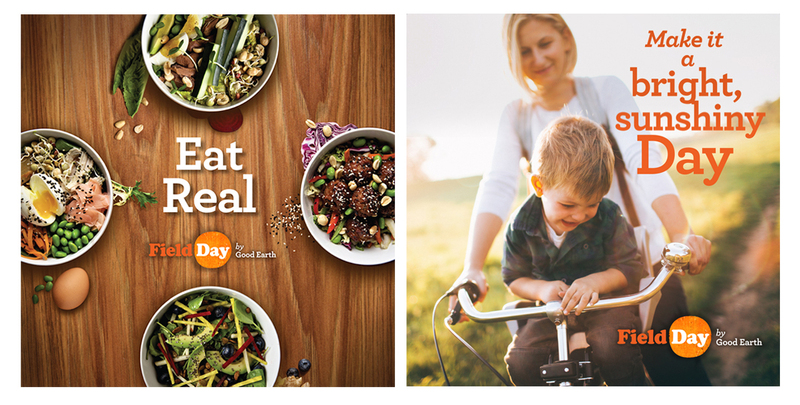 The website is simple, clean and free of gimmickry – exactly like the Field Day brand. The site is fully responsive to meet the needs of smartphone and tablet users. Emails are rendered with detail and personality on mobile screens. 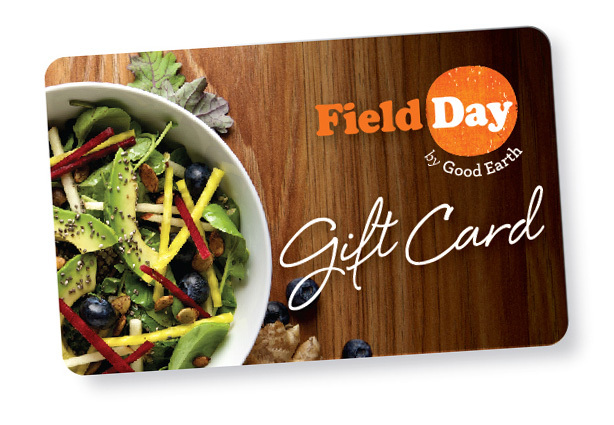 The Field Day gift card features a more compressed version of the concept logo. Drink in the sunshine from these fountain cups. Mall signage directing the public to the newly opened Field Day. In-store signage communicate key messages with uncluttered simplicity.